Free From FellowsTM brand gaining momentum in the UK and beyond! New kid on the block Free From FellowsTM is the latest creation from Bravura Foods – originally a three strong range of gums and jellies (Gummy Bears, Cola Bottles Midget Gems) launched back in March, this is now a colourful fun line up of six products with new tasty additions – Pear Drops, Rhubarb & Custard and Cola/ Strawberry lollipops. It’s safe to say that the range is gaining momentum with retailers in and outside the UK. So what is so different about this brand? Well firstly, everything is sugar free and certified by the Sugarwise organisation. Secondly, all the products are gluten free and thirdly they are all gelatine free and certified by both the vegan and vegetarian societies making this pretty much a “suitable for all range”. Holland and Barrett launched with 100g Gummy Bears, Cola Bottles & Midget Gems back in March this year. The products were listed in 360 stores and this was shortly increased to 780 stores in August as the products continued to perform well. Joining that line up from early November in Holland and Barrett will be a new product in the range – Cola and Strawberry lollipops in a 60g bag. 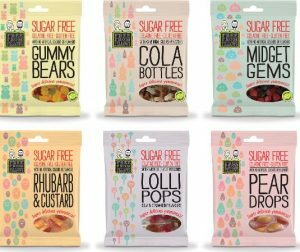 Sainsbury’s have also listed the Gummy Bears, Cola Bottles, Midget Gems, Pear Drops and Rhubarb and custard (all 70g bags) which launch live in 330 stores at the start of November. 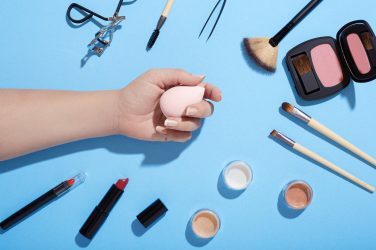 Other retailers that have stocked the products include Wholefoods, Grapetree and Planet Organic as well as approximately 400 independent health food stores in the UK. The brand is also now being exported with customers that have been established already in Iceland, Sweden, Australia and Slovenia. Director at Bravura Foods Lisa Gawthorne comments “We have been innovating in sugar free confectionery behind the scenes for a while now but we really wanted to focus on being able to offer more –as there are many products out there that are sugar free or gluten free but not gelatine free or vice versa and we wanted to fill that gap and offer something to the market that is has universal acceptance as well as something that tastes amazing. Karl Morris, Director at Bravura Foods adds “We have brought about some much needed category innovation and we really do feel the time is right for the brand as consumers are now more accepting than ever of sugar free products as Mintel states 41% of parents of under 16’s agree that artificially sweetened sweets are suitable for kids.” Coupled with that, we have been tracking the growth of the free from sector as we operate in this area with other brands and free from products are now bought by 78% of consumers so we wanted to encapsulate all angles as well as making it suitable for anyone wishing to avoid gelatine. We have taken the sugar out of everyone’s favourite sweets so that people can still enjoy their sweet fix but with a notably reduced calorie content that doesn’t affect the overall taste experience”.